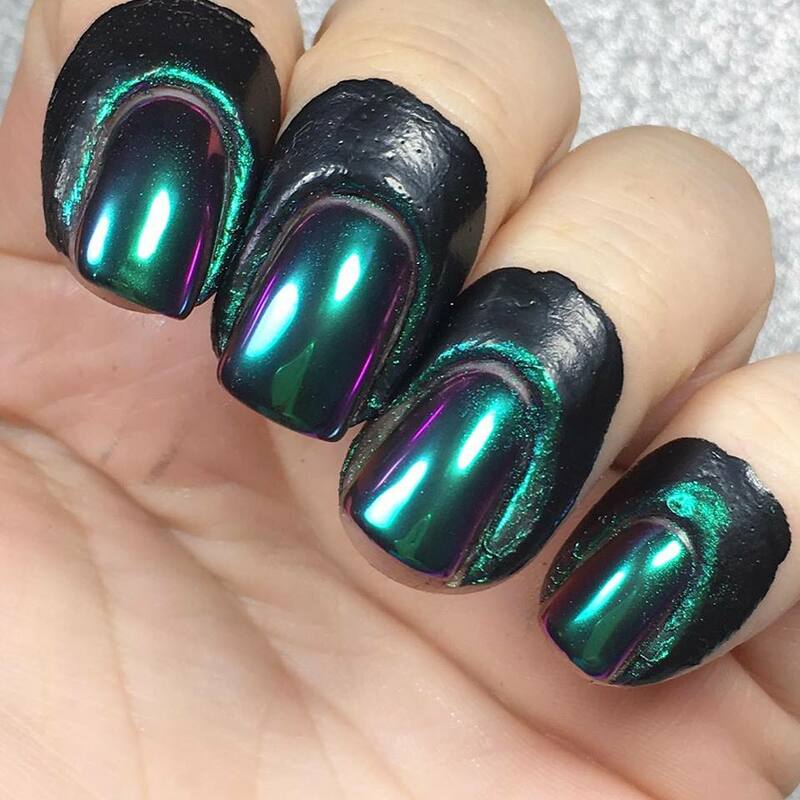 To achieve this look I used black gel polish as the base and sealed with a no wipe/tach free topcoat under a LED lamp for 30 seconds. After curing, I applied my very own Easy Peel Latex Barrier around the cuticle area as chrome powder can be quite messy to clean .. especially silver chrome (nightmare lol). With an angled silicone tool, picking up very little powder I went ahead and began burnishing (buffing) the product onto that tack free surface with light-medium pressure. Once I was happy with the coverage, I removed Easy Peel, applied top coat and was done! The chrome kit I ordered with a bit pricey, but at the time the hype was so big I didn't care. I just went to google the link to provide to you guys and it's still the same price but they added so many bonuses I'm super jelly over! Originally the kit was somewhere like $145?-$150? 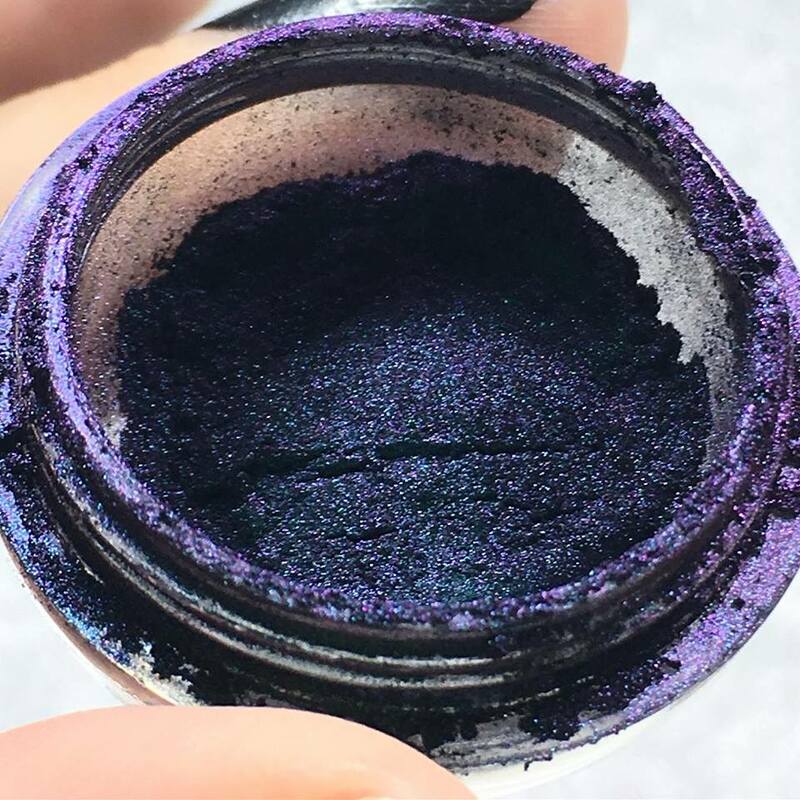 .. something like that, which came with 6 chrome pigment pots + the base and top gel and the silicone applicator tool. Now you get so much more for the same price .. so not fair! lol Also, the silicone tool I used wasn't the one that came with the kit itself. Clean your nails - You must have clean, dry nails in order for the product to adhere correctly. Lightly buff that nail, use a lint free wipe soaked with 91% alcohol to cleanse your nails of any extra impurities. 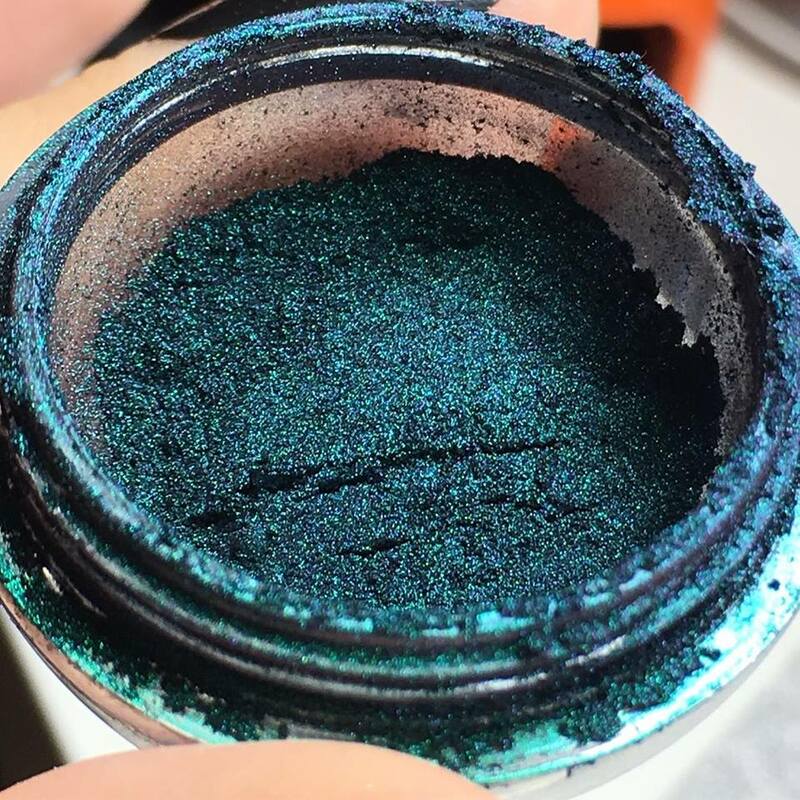 Shake Gel Polish - Gel polish contains a unique formula that really needs to be shaken before each use. It will help with an easier and more even application. 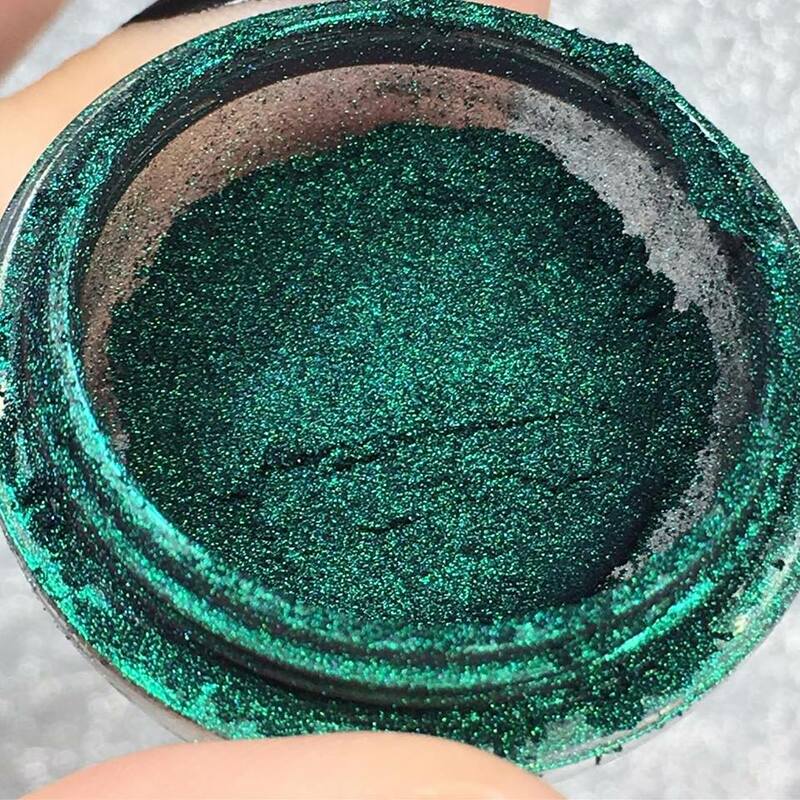 You don't need to shake the base or top coat, just the colours. Theres fancy shake machines on the market but I just put in some good elbow grease and shake with my hands! Use short strokes - When painting on the gel polish use short strokes as its easier to control, especially when working around the cuticle and side edges. Be extra mindful on the first coat to get nice application around the cuticle/side edges and the following coats will be a breeze! Use thin layers - Gel polish has a completely different formula/consistency than regular polish, which can definitely throw off a person who's new to gel polish. You don't need as much gel polish on your bush as you would with regular polish. 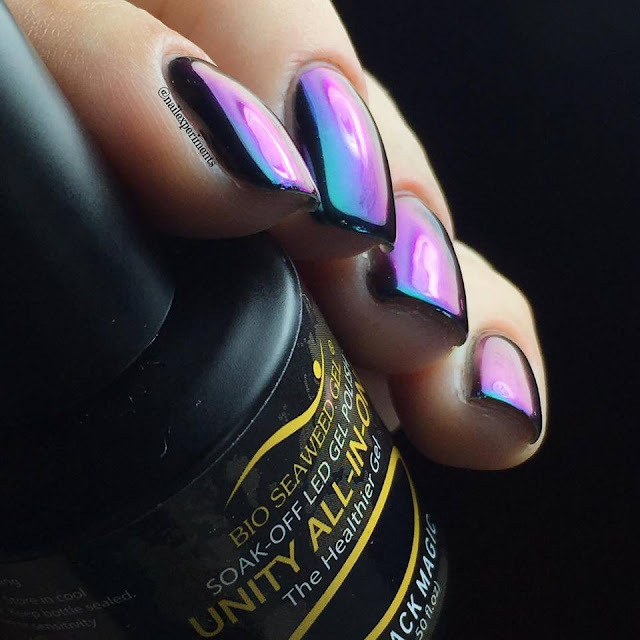 If you apply too much gel polish, the gel polish will pool, flood the side edges (keep a clean up brush + acetone on hand) and ripple once cured under LED/UV lamps. Using thin coats will avoid all those problems and its better to use 3-4 thin coats vs 2 thick ones. 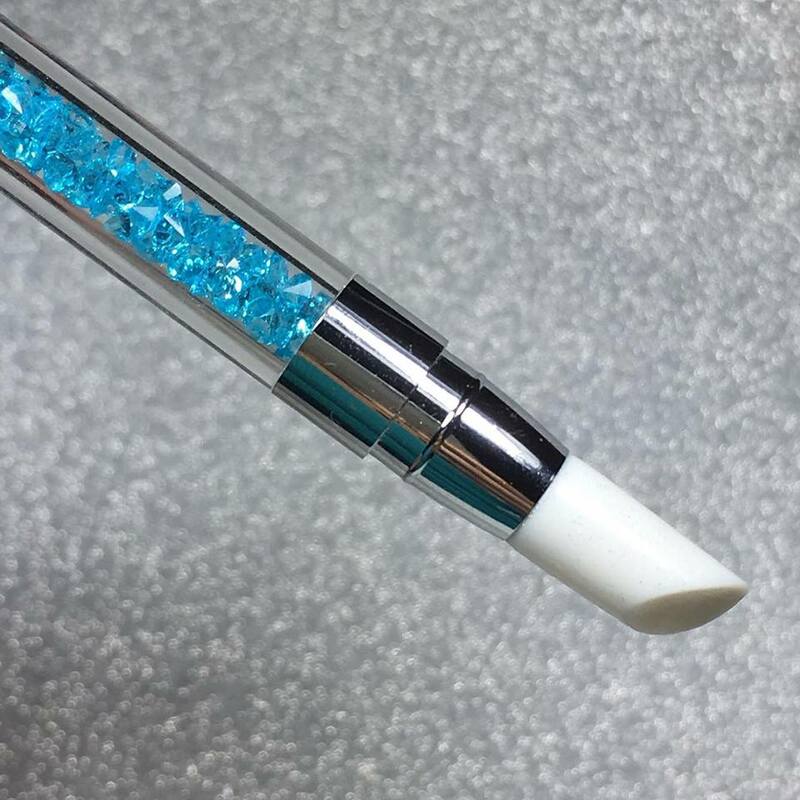 Cap the free edge - I can't stress enough how important it is to cap the free edge, as it'll allow for a longer lasting manicure and prevent lifting. This means to paint the end of the nail after you've painted the actual nail. Cap the free edge on every coat, but its especially important for the base and topcoat. 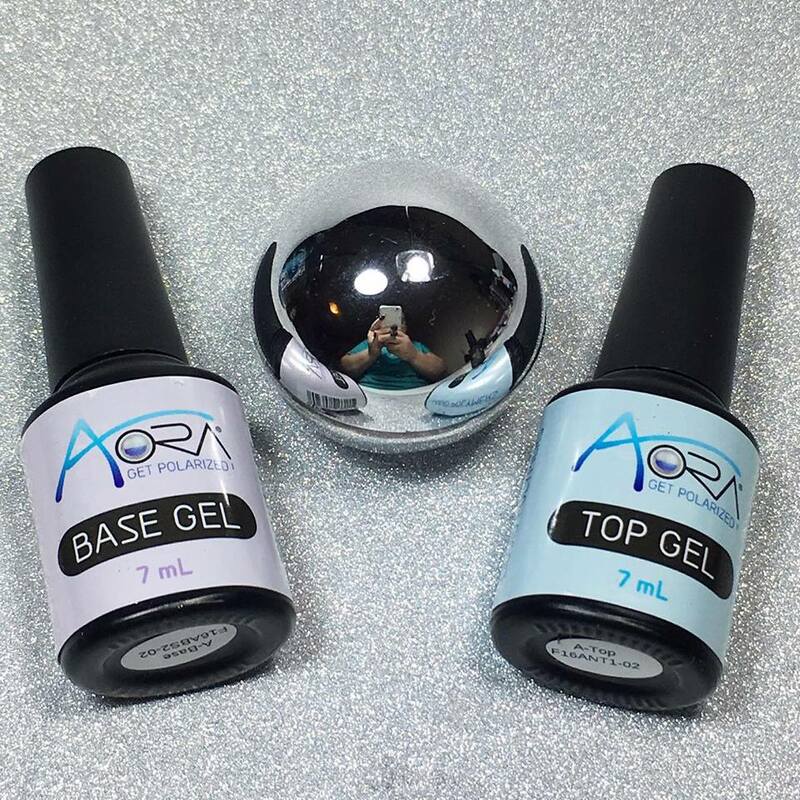 Remove extra gel polish before curing - As soon as you cure gel polish, it hardens and any imperfections will be impossible to revert as it won't come off. I've made this mistake a few times and it drives me nuts! On the positive side, its very easy to remove as long as you do it before curing the nail. Gel polish wipes away easier than regular nail polish, so don't be intimidated to wipe off any excess polish that may have gotten on your skin. I like keeping a clean up brush + acetone handy for instances like this. Cure in the right sized lamp - If you have a 4-finger lamp, don't try and cure all 5 fingers from one hand because it won't cure properly. I feel the thumbs get neglected and when I cure gel polish on clients, I always do both thumbs together separate from the other fingers. I find it allows for an even cure and will ensure everything is levelled. Sometimes squashing all 4 fingers + thumb into the lamp (depending on the size) will leave the thumb on its side vs laying flat down like the fingers. 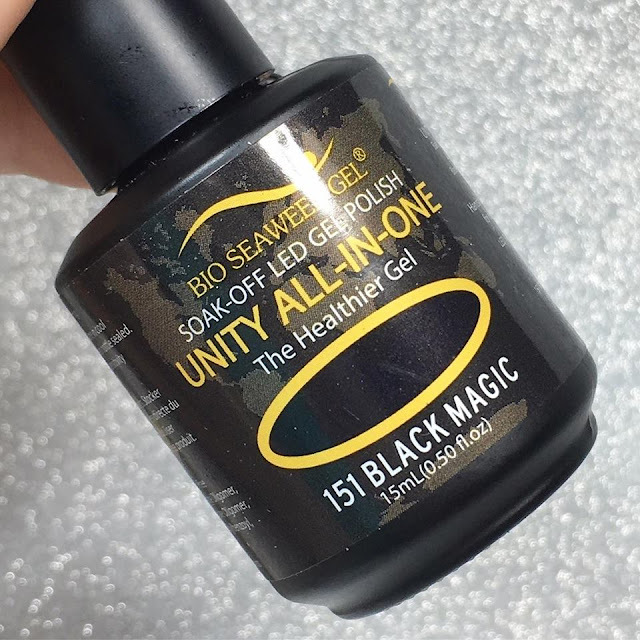 With the thumb on its side, the gel polish will be pushed down with gravity and cure unlevelled (depending if you've applied the product too thick) .. another reason to be mindful about thin coats. Completely cover colour with top coat - When applying topcoat, make sure to completely cover the colour with the topcoat. You still need to avoid the cuticles/side edges, but do cover all the colours. If you don't, the colour will look matte and can be rubbed off through ought regular wear and tear. Hydrate! - This is basically my number one rule of thumb, mantra and 1st commandment when it comes both gel polish and regular polish. I recommend applying cuticle oil at least 2 times a day and they will grow to be strong as ever. I apply cuticle oil like its a religion and have noticed a vast difference in my nail health compared to when not using it. 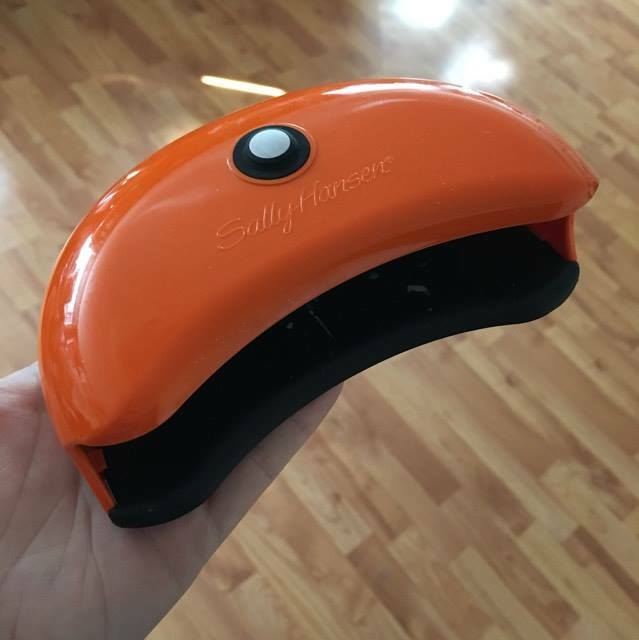 Sally Hansen LED lamp - I found this at Shoppers Drug Mart (Canada) but can perhaps even be found at Walmart. I didn't spend an arm and a leg on a crazy expensive lamp. This one does the trick and works perfectly fine and cures in 30 second cycles! Thanks for stopping by and hope you've enjoyed all my vampy creations thus far! Stay turned for more Digital Dozen creations next month! OMG! Please come over to do my nails! LOL - these are amazing Elena! 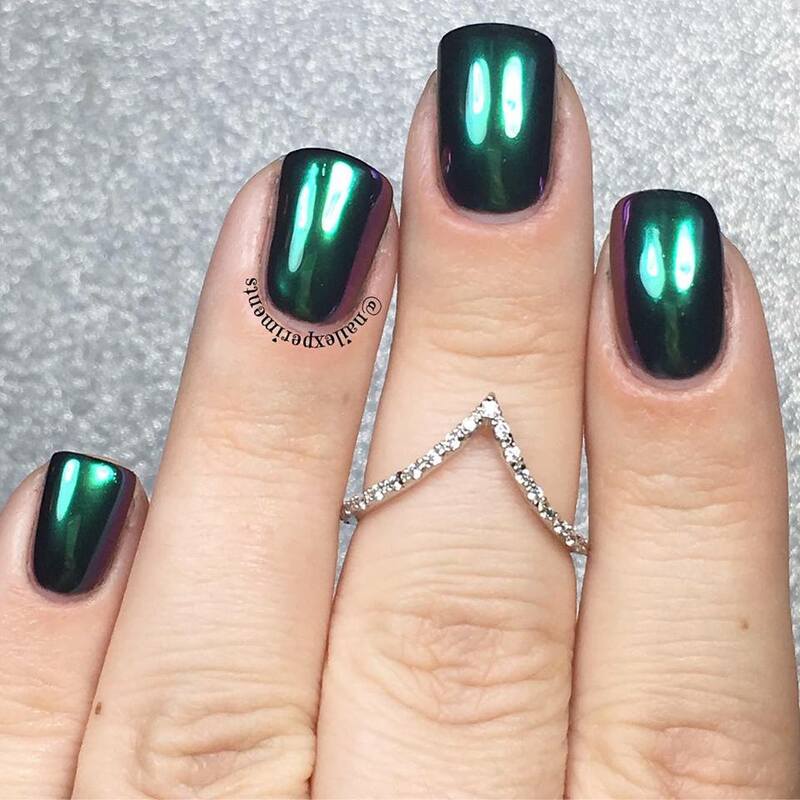 I still have been too scared to try gel nails, but they look so amazing. LOL, I would love too! I'm not one for full on gel, hence the peel off base coat haha .. I refuse to commit! This is LOVELY!!! Oh and I can't commit either! I always do a peel off with gel if I have to resort to gel at all! Ha!! Amazing finishing, love the application. I know the pain of clean up. I am struggling to get clean cuticles after chrome nails but failed two times n just removed it. M hopeless now. Thank you! I find the cuticle mess with the silver chrome is a nightmare and won't even bother with that anymore. I paid way too much for the silver powder and now it's just sitting there lol .. which reminds me, I have to try selling it! These are so cool!! 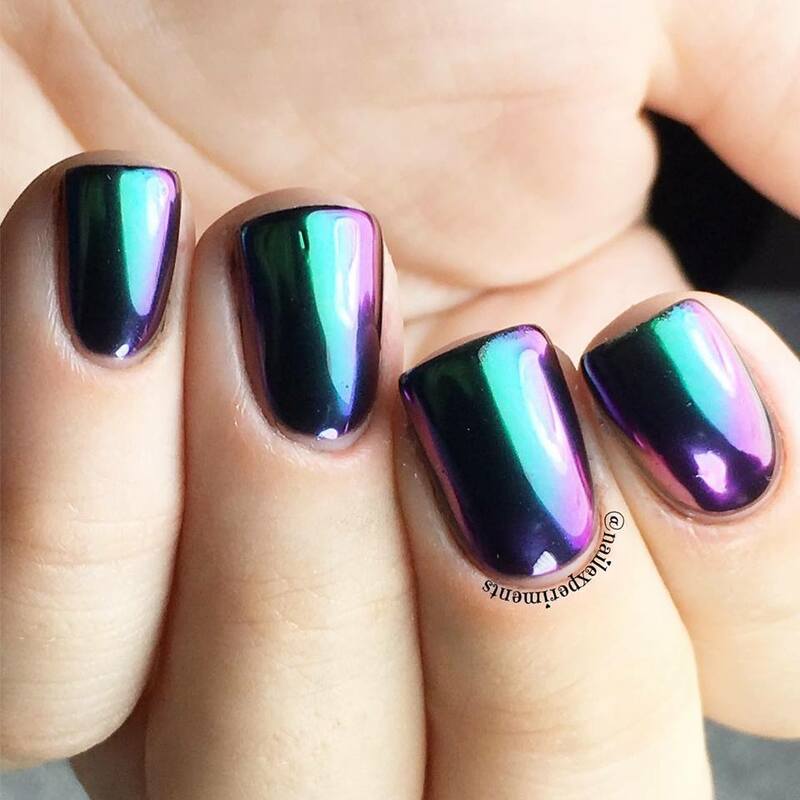 I want to try this trend out, but I don't mess with gel polish haha. 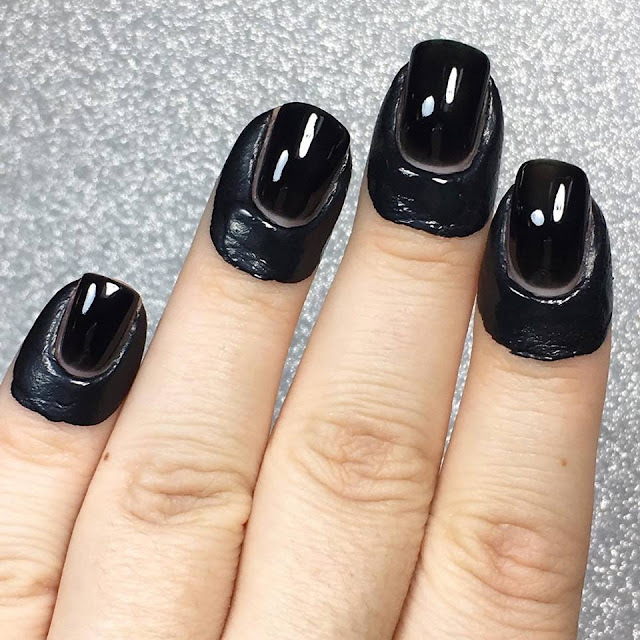 It's definitely a cool trend but I totally get the not wanting to mess with gel polish lol hence me using the peel off base!